Step 1: Take your glue and start to glue on your pom poms to the balloons. You need to go steady here and I wouldn’t recommend using as many pom poms as I did as the weighed the balloons down a tad too much and started to lose the effect of the helium! Step 2: Once all your pom poms are glued down put the balloons to one side and grab your tissue paper! You’ll want to cut a piece out approx 10cm X 20cm the fold it in half so you’re left with a piece 5cm X 10cm. Step 3: With your scissors cut up into the tissue paper towards the folded edge but stop about 2cm away from the end. Step 4: Place the end of your balloon against the tissue paper and start to roll it up inside. Step 5: Staple in place. 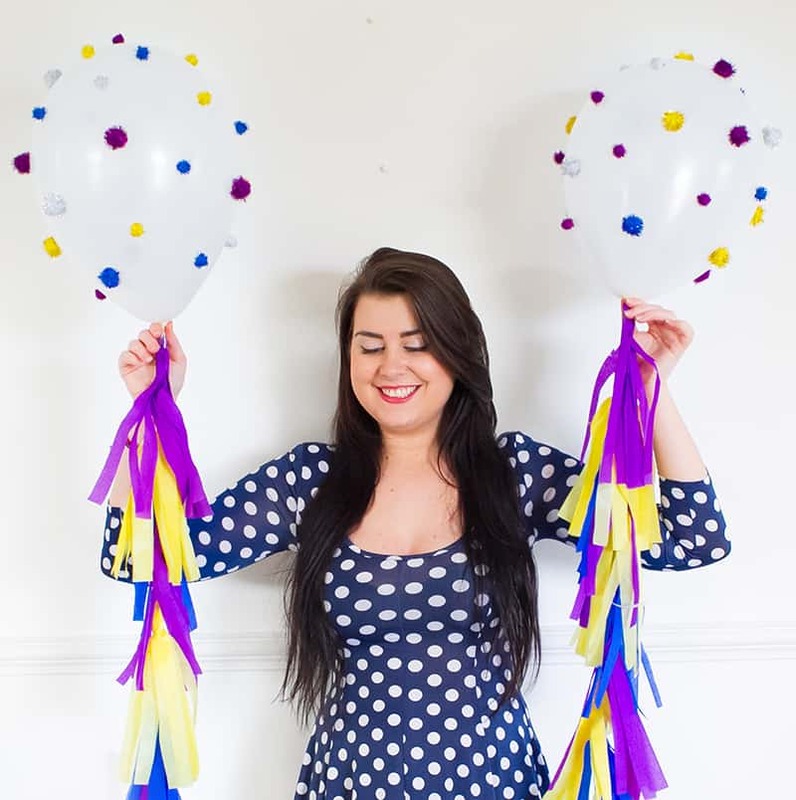 Step 6: Pull the tassel strings away from the balloon string and repeat step 4 with your next colour of tissue paper. Step 7: Staple in place. Step 8: Continue to do this with all of the colours of your tissue paper until the entire balloon string is covered! Step 9: Admire those pretty balloons!! So cute, and so easy right??! I just want to make tons of them and dot them around the house!